There are a number of Angles, both carved and shown in stained glass, in St Swithun’s church. Either side of the Chancel screen, next to the figure of Christ on the cross (which was designed by Sir Ninian Comper), you can find carved wooden angels. 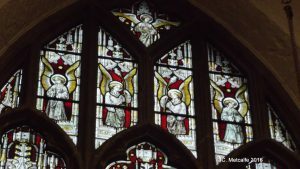 This window is thought to be the work of Hardman and Co., founded in 1838, who began manufacturing stained glass in 1844. The firm of John Hardman Trading Co. was wound up in 2008. 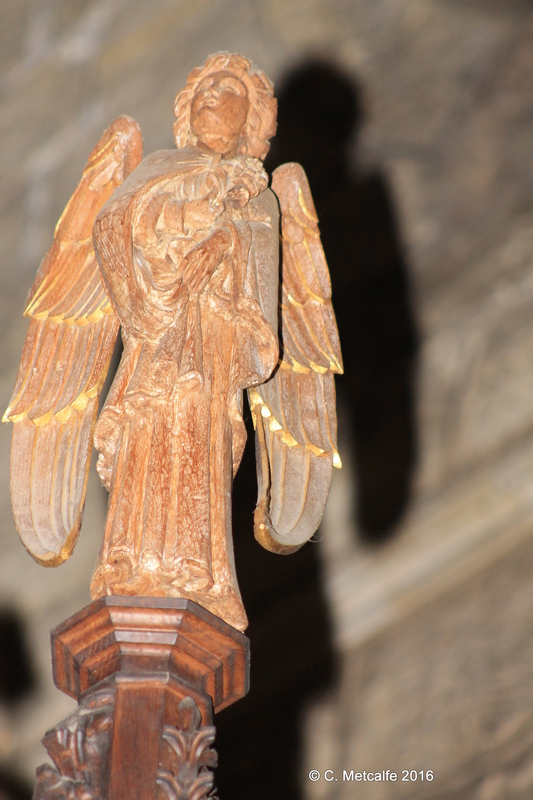 There are 4 more angels at the top of the first window on the south wall, in the Memorial Chapel. 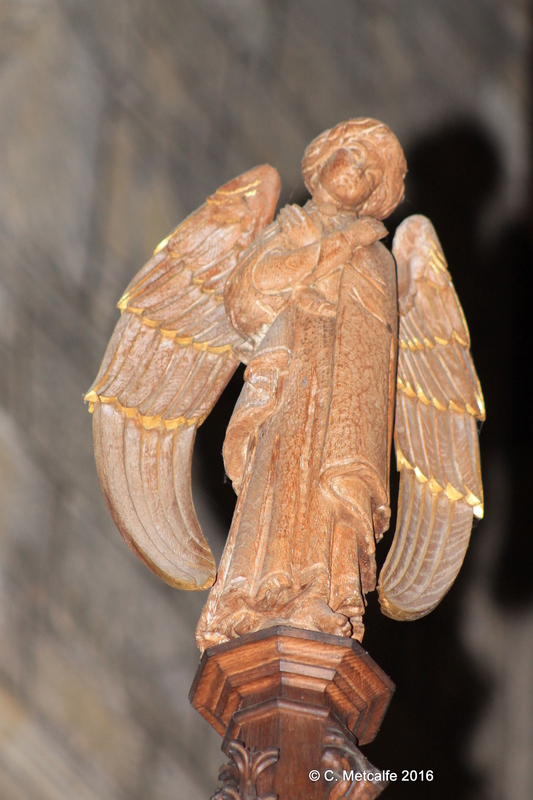 These angels have wings and haloes and hold banners- but the words on the banners are hard to see. 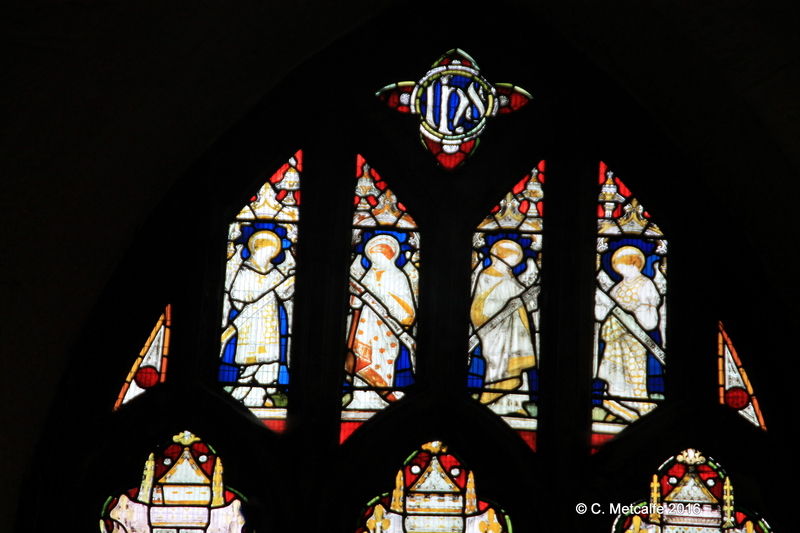 This window was the work of James Powell and Sons, also known as Whitefriars Glass. 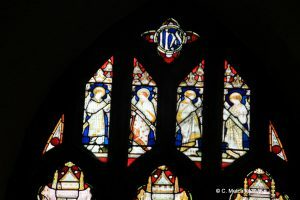 The firm became well known in the 19th century as a result of the Gothic revival, but had existed, as Whitefriars Glass, since the 17th century. 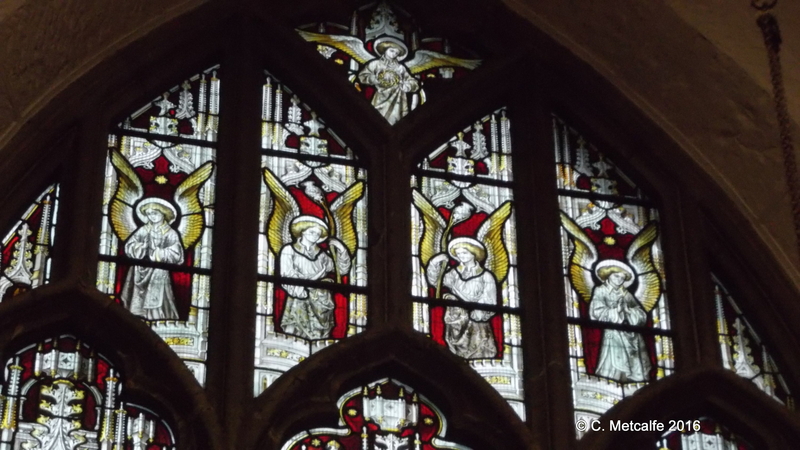 This window was given in 1874 in memory of William Stenning. The windows let in the light, tell us Bible stories, and are wonderful works of art.